I have a very exciting collaboration to bring to This Northern Gal today. The lovely folk over at LOTD got in touch to see if they could help me out with my Christmas gift guides and I, of course, said yes. A little while ago, I had an idea for a gift guide all about the smaller gifts or accessories that you could buy your friends and family. I don’t know about you but I’m always looking for cute little bits like bags or jewellery for my friends at this time of year but this year I was feeling a little uninspired by what I had seen when I was out and about doing my shopping. I just couldn’t find the right thing, the gift that matched up with the image I had in my head. Luckily for me (and my friends), LOTD decided to offer a helping hand. They let me loose on their site to pick up a few things to gift this festive season. If you’re expecting a gift from me this year, you might want to look away now. If not, prepare yourself for some crackers. 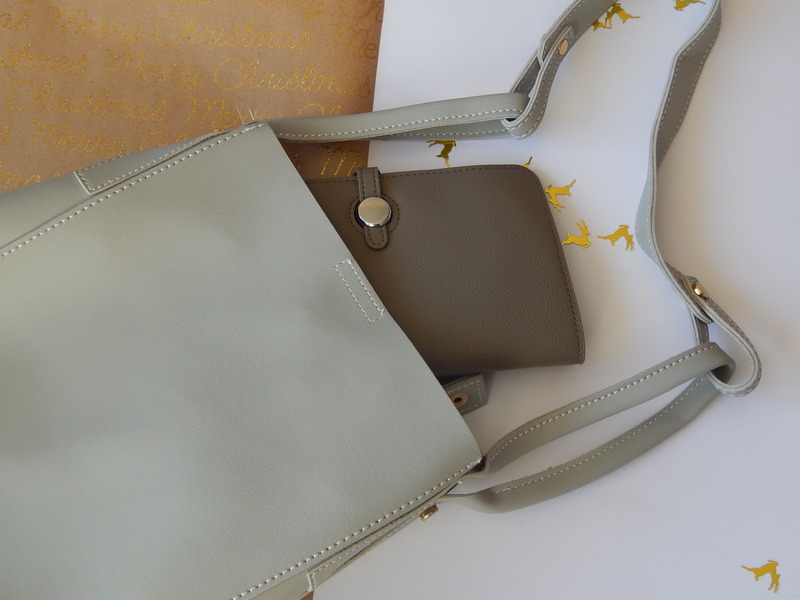 First up is this beautiful grey handbag*. It was very affordable (around £15) but a high quality that I was pleasantly surprised about. It’s of a simple design, and chic. 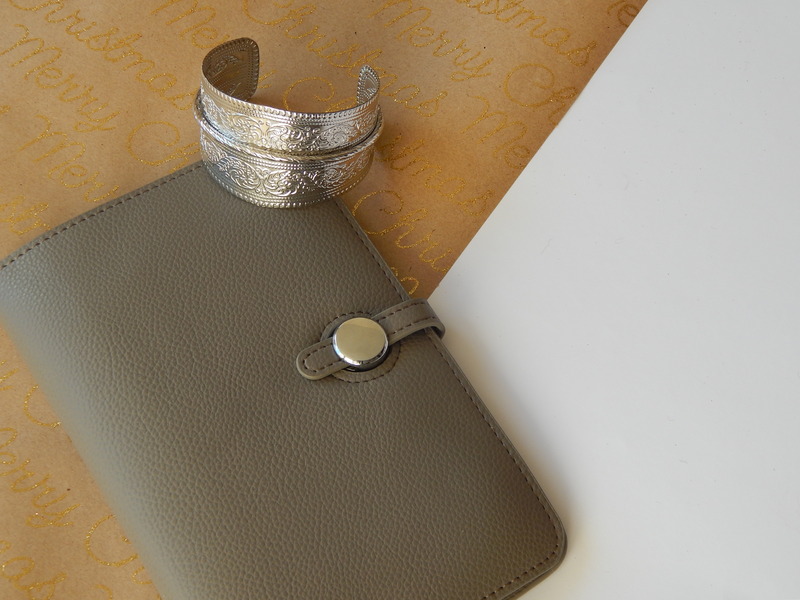 I think it would be the perfect gift for someone who likes things to be of a simple and effortless style. Don’t tell anyone, but I love this so much that I might be gifting it to myself in order to fill a gap in my own wardrobe… Can you really blame me? I bought this grey purse* to go with it, not realising that the shades are slightly different. I love it so much though that I don’t mind! A friend of mine has been complaining about how tatty their purse has become so I thought that this would be perfect for them. There is plenty of space for both cash and cards inside, which is always a must have when it comes to purse shopping for me. Again, I was struck by how simple the design is, but it is definitely not boring. It was also not too expensive, coming in for around £15. At the moment, it’s even in the sale for £7.50 – you can find it here if you are interested. While I was it, I picked up this stunning silver cuff*. It’s a great piece of statement jewellery to jazz up an outfit. It’s an absolute steal in the sale right now, coming in at just £2.50. It would be perfect for a stocking filler or you could even use it as extra present to go with a dress or the like. 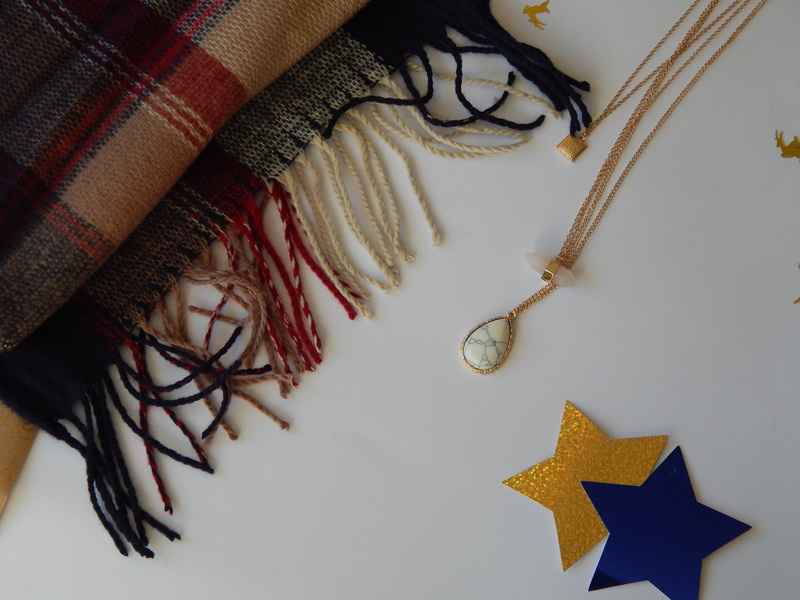 Who doesn’t love a scarf for Christmas? There is just something about unwrapping one on Christmas Day and then tucking yourself up in it for a frosty walk after dinner or on Boxing Day. With that in mind, I chose this gorgeous checked scarf*. It’s the Red Plaid Long Tassel Scarf and it only cost £10. I think scarves are a great gift if you want to buy something for someone that is both stylish and that they can get some practical use from. This layered gold necklace* is not my usual style but as soon as I saw it, I knew that it would be perfect for one of my best friends. They had loads of beautiful jewellery to choose from. LOTD definitely had lots of options if you wanted to buy something statement without breaking the bank. They also had a lovely silver choker that I was very, very tempted by. I was really impressed by how much I managed to pick up for my money at LOTD and everything was of a good quality too! As for Christmas shopping, I was pleased to find plenty for my friends and family, from ‘big’ gifts to the smaller components and stocking fillers. I’ll definitely be checking out LOTD the next time I have to do some present shopping too. P.S LOTD sent me the above items as a PR gift but all opinions are my own.